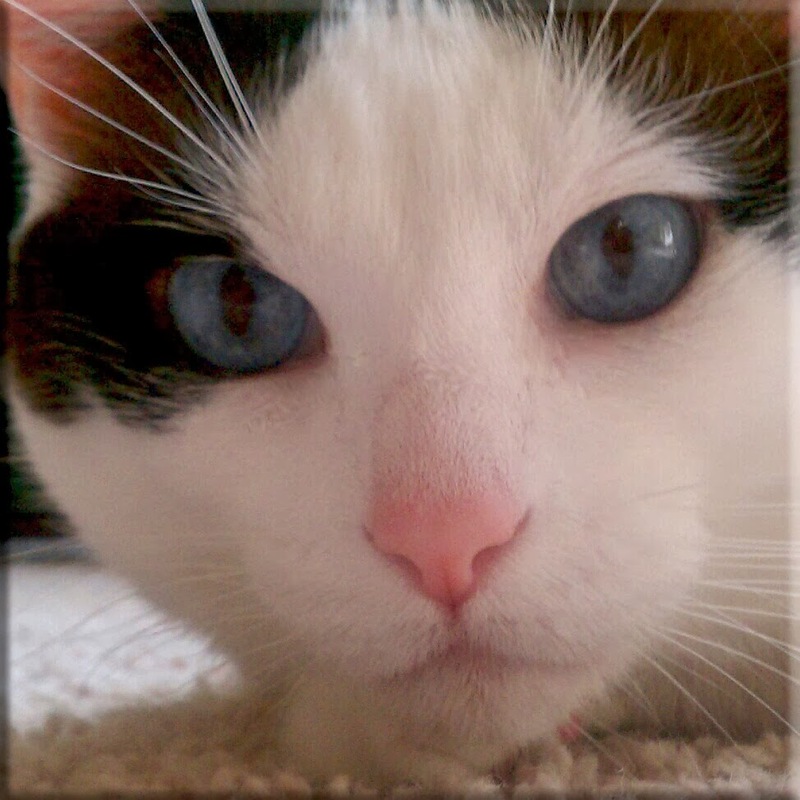 Peaceable Kingdom: NorthStar Pet: Jasmine is Home! NorthStar Pet: Jasmine is Home! Jasmine has been reunited with her family! Click here to learn more from WBNS-TV. 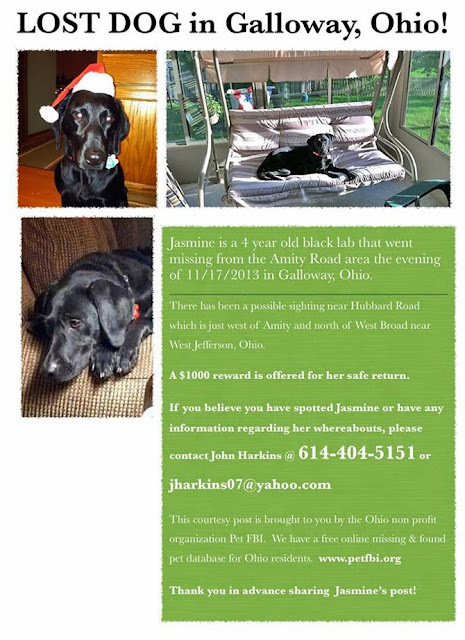 In an unfortunate turn of events, Jasmine, the black lab, is lost and needs to be home. Please raise your awareness. Jasmine's home is in western Franklin County, Ohio and she was last seen near West Jeff on Hubbard near Amity, north of West Broad, on November 17th. Please keep Jasmine and her family in your thoughts and prayers. For further details, click here for the Channel 10 WBNS-TV news story.